A pair of Victorian style door knobs with a "beehive" design in solid brass. High quality, hand turned, solid brass door knobs/handles made to an original Victorian beehive design. Solid brass handles hand turned and aged. 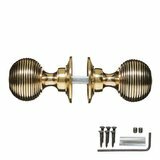 We're pleased you would like to review Victorian Door Knobs - Brass Beehive (pair). These door knobs are absolutely perfect and look great in my Victorian terrace. Great service. Delivery spot on, and the product was spot on. Good instructions - they look fab! Reasonably priced, arrived quickly and look nice. Not installed yet but so far, perfect! Lovely product, well made and very speedy delivery. Good pruduct. As described and well made. Fast delivery. Would recommend. 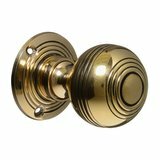 I looked online at several different brass beehive door knobs first, but found none that matched these in terms of quality and price. The brass is lovely and heavy and the door knobs really enhance the doors. They even include suitable fitting screws. Excellent service and I will certainly use again. Item as described, good quality, very pleases with purchase. Products were as described very pleased with the weight and quality feel. Delivery was spot on. Lovely quality and look great on my waxed pine door. Would highly recommend. Quick delivery and easy transaction, thank you. inexpensive doors I am delighted!!! Handles can make a huge difference to the look of a door. I cannot promote these enough particularly if it is a quirky character look you wish to achieve. Company a pleasure to deal with too. Faultless service. Just what I was looking for to compliment the original 4 panel doors I had fitted in my Victorian flat. Excellent quality, much cheaper than the salvage yard were selling for and I got a whole set of uniform knobs. Gorgeous door handles, they are really heavy and look the part. They could be genuinely old and look great in our Victorian house. Excellent quality too, I am really pleased with them and will order more. prompt delivery and my mum likes them! Qick delivery. 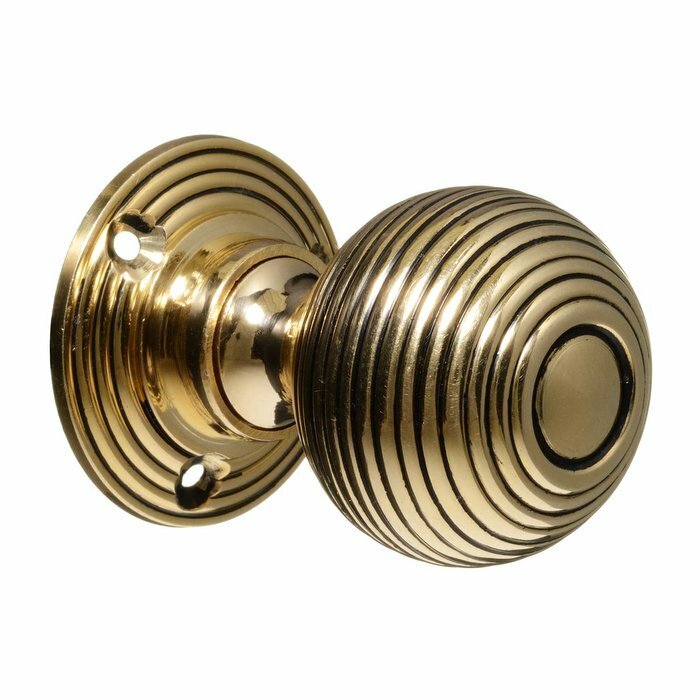 The door knobs are well mde and match others that we have. These are top quality Victorian style door knobs and beautifully made. I am thrilled with them. Delivery was speedy and the items were carefully packed. I strongly recommend this product. Great quality. Look beautiful. Prompt delivery. Thanks! Look great. very impressed with price and the vintage style. We're now looking to replace all of our door handles. Great price and really nice product, very easy to install. Bought one as a trial, will get more now. The door handles arrived promptly and are lovely ! Excellent quality, look and feel. Fantastic quality item at a great price. Everyone thought I'd paid a lot more for reclaimed Victorian door knobs. They arrived well packaged the day after I placed the order. I decided I'd prefer the larger door knob and rang customer services. They were extremely helpful and changed them with no quibbles. Would definitely recommend, I am 100% happy with my purchase. 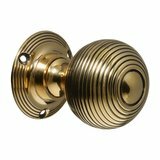 High quality solid brass door knobs that matches the suppliers description. Really liked that the brass is not laquered giving a genuine period look. Excellent next day delivery. Would order from this supplier again. Highly recommended. Gorgeous.... really good quality. Delivered well in advance of stated time. Great service. Will use again. Thank you. Great website, selection and well priced. Parcel arrived as is fab, great quality, efficient and timely service. Highly recommend. Great product, speedy delivery - thank you. These door knobs were everything I hoped for, elegant, easy to install, entirely in keeping with the Victorian decor I was anxious to preserve, and amazingly quick to arrive. Thank you. 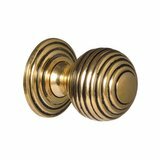 These are high quality brass knobs which were delivered very quickly and easy to fit. Thanks for your excellent service. I will be ordering more in the future. Lovely door knobs ordered a mix of the Georgian & Victorian brass ones - ordered two originally - liked them so much got 3 more. Really fast delivery. Would use this company again & recommend to others. 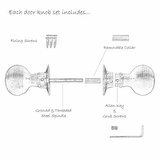 Really nice door handles, not cheap but good quality, good website. Would recommend. Authentic, well made and at a very good price. I will be back for a few more soon. 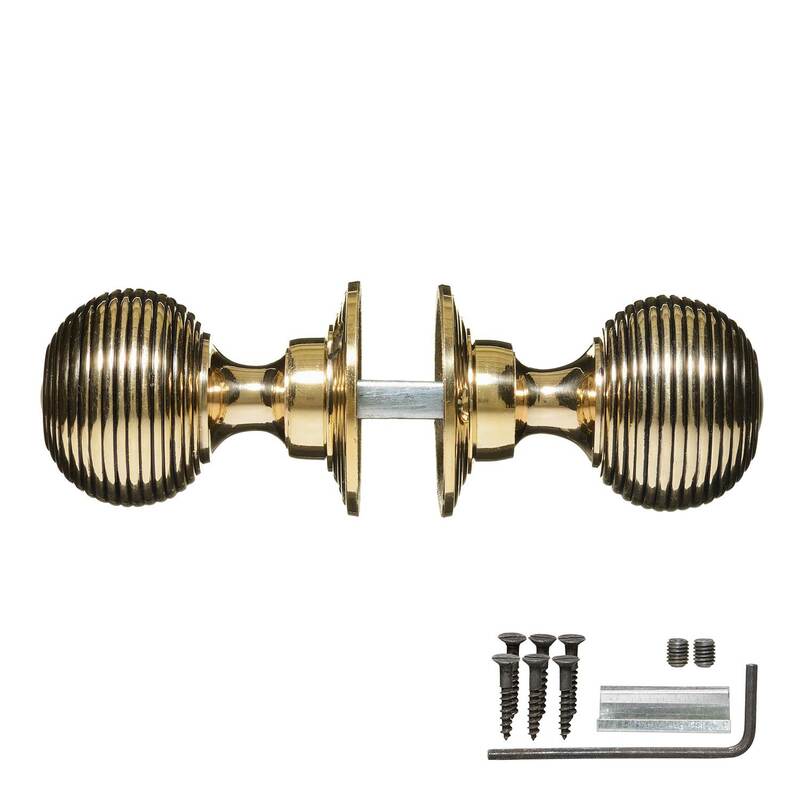 Very happy with the purchase, but hadn't realised that Conventry Demolotion sell two different sizes of Brass Beehive door knobs. These door knobs are about a one cm smaller than the larger ones. Next time, I'll go for the large ones. Very well made, supplied with all materials. Very happy. I am so very pleased with these beautiful door knobs. The quality and workmanship are amazing. A great company to do business with as well. Excellent service, next day delivery and product exceeded expectations, highly recommended. Lovely door handles and very good value for money would recommend. I would definately use again. I bought 8 of these to be fitted on 1930's internal doors which I have painted black gloss and the doors look stunning! absolutely stunning the handle just lifted the look to what I wanted. 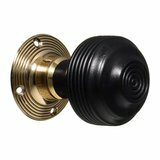 A very good quality knob for the price will definately return to the site. 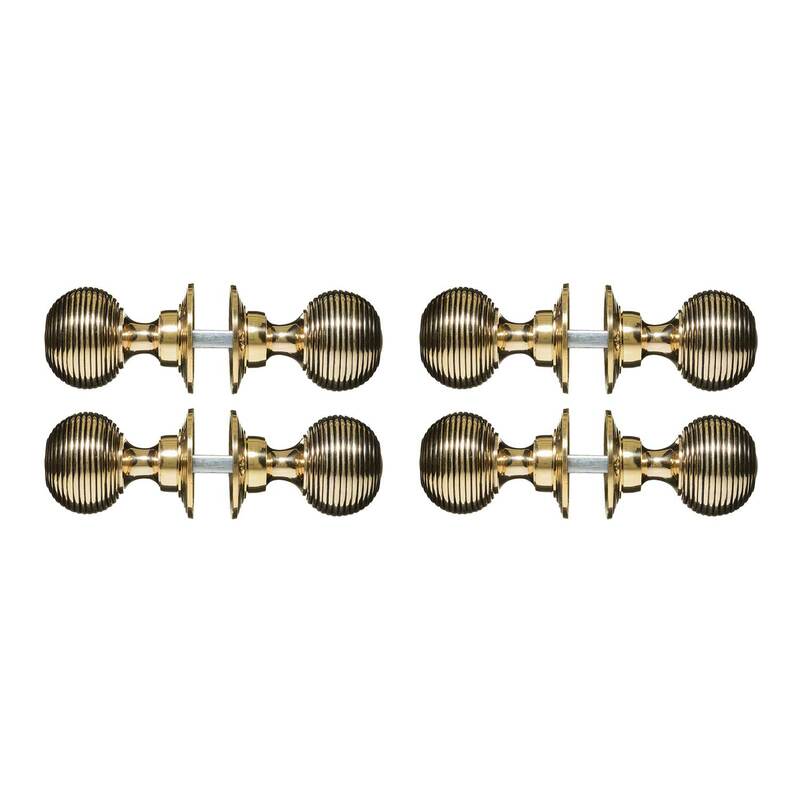 I ordered the beehive brass door knobs to go on our Georgian front door which is inside our porch. I could not believe how good the quality is bearing in mind the price. They match exactly an original over size decorative knob in the centre of the door. 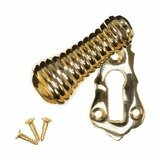 I also ordered the beehive escutcheons to stop draughts through key hole. Again, very pleased, and everything arrived the next day. Would definitely use this firm again. Speedy delivery, I only ordered one as a sample because I couldn't believe they were such good value but they are beautifully made, a really good weight and I will be ordering another 16 sets as a result. Fantastic service and product. Excellent email follow-up, fast delivery, Product was good quality. Arrived home to find half of my door knobs fitted, SO excited! Couldn't believe the quality of these and the colour is a really brassy brass and not a horrible cheap goldy colour. I am very happy and would recommend these to anyone! We live in a Georgian house with Victorian additions which we bought 38 years ago. About 50 years ago someone had ripped out all the original ceramic or brass door knobs and replaced them with plastic ones! For these last 38 years we have been searching for brass beehive doorknobs for all the internal doors, and, as we were not prepared to pay the £80 per pair that Hungerford Arcade dealers were charging for them, decided to look on the internet and chanced on your site - at last something that looked right and at an extremely attractive price. We've just bought and fitted 10 sets - easy to fit to our ancient doors, and are at a piece with our house. Thoroughly recommended. Installing this set on a rim latch I was very pleased to note how closely they matched existing reeded knobs in a grade 2 listed Georgian property. Very pleased and good quality castings, would recommend to anyone wanting a reproduction knob set. This was so simple. Found these on line. They looked great. We ordered enough for the house. I was a little nervous buying so many without checking. They turned up really quickly. And the best bit. They look even better in person, and the weight and quality is spot on. These door handles are absolutely wonderful. I was a bit reticent at first because they seemed a far bit cheaper than elsewhere but be assured they are really good. They are so good in fact that they actually draw the eye away from all the shoddy DIY I have performed on the door and the surrounding area. Bought these along with a set of chrome so the chrome handles are inside the toilet and bathroom. Very well made and at a great price, they look great on the doors, finishes them off very well. Would highly recommend and very quick delivery. Will most definetly use again on other purchases. knobs arrived quickly. very good quality for price. were fitted that day easily. would certainly buy again from this site. These people are really good, with a prompt, efficient and businesslike service and a great product at a sensible price. About to order many more. Thank you Coventry-Demolition. .
A very good quality product equal to or better than similar, much more expensive knobs. The order process and tracking are efficient and delivery has been rapid. Can't fault it. Fantastic product, well made and exceptional value. Quick postage, highly recommended. Put 3 pairs of these door knobs foursome 'new' Edwardian style doors I have bought. Very good quality - at a great price - much cheaper than anywhere else. 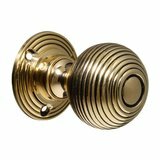 Been looking for this type of door knob for some time but have found them to be quite extremely expensive. Although a little smaller than others I've seen, they are beautiful & are excellent value. Am going to order some more. Delivery was excellent too, within 2 days! Excellent service, thank you. I was amazed at the quality of these knobs, particularly for the price. They have a genuinely period look - unlike many modern copies - and feel hefty and the hand unlike many cheap knobs that cost substantially more. I have some hugely expensive brass beehive door knobs elsewhere in my house but needed an extra one for the kitchen door. As this is not in plain view I didn't feel the need to spend £45 on a single door knob so I went looking for something similar to the ones elsewhere in the house. That's when I chanced upon this item. I really wasn't expecting it to be up to much for the price so I was delighted when I received the item and found that it was much heavier and of far better quality than I'd anticipated. The item was delivered speedily too which was a bonus. It would be nice if this door knob came in an antiqued finish but really I am not complaining as it looks splendid as it is. Highly recommended. These are superb - great quality, nice slightly aged look and fantastic value - other places we were looking were over £50 per pair! With no nonsense ordering and superfast delivery - a winner. Glad I found this website. These handles were very competitively priced and good quality. Delivery was prompt. Would recommend. 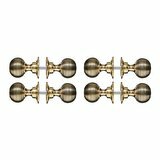 I purchased these for a Paris apartment to harmonize with other original brass doorknobs.They look splendid. Great value for money and so well finished. Do not hesitate to purchase them. brilliant product at an unbelievable price. will certainly be buying again. Can only agree with all the other reviews. Great product at a great price. Beat's the large DIY stores by a mile. There was one hiccup, no screws & allen key in pack, but young lady at customer services was very helpful & said they would be put in post straight away, which I am sure will happen. Would definately buy from again. Brilliant quailty, easy to fit and such great value. They make my cheap painted doors look in keeping with my old Victorian house. I ordered them on Thursday and they arrived on Saturday - very impressed! I definitely recommend them! 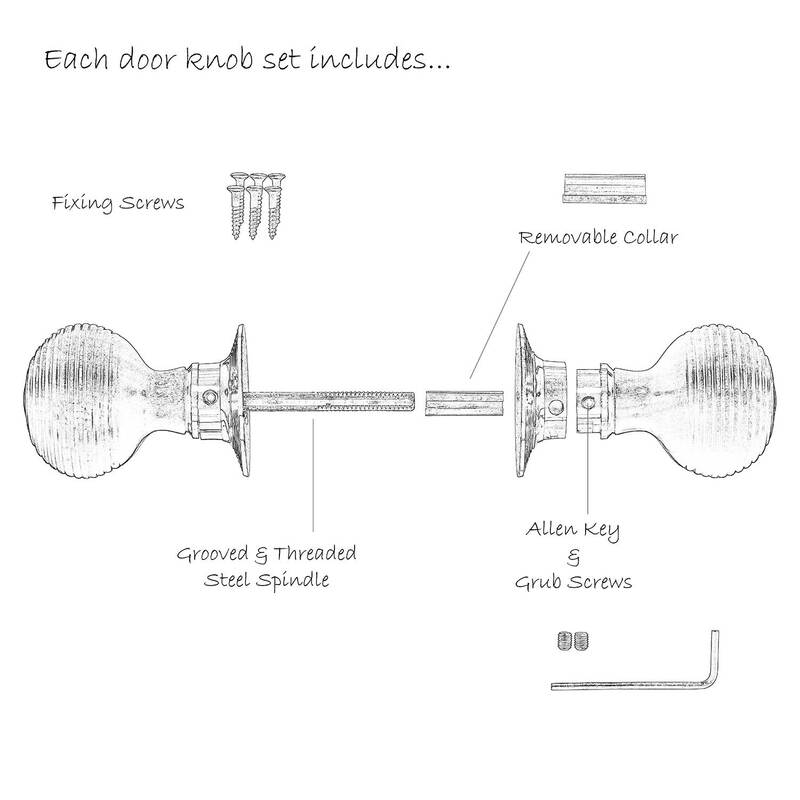 We bought these knobs to refurbish our Victorian doors, and must say that as well as being one of the most reasonably priced door knobs, they are of excellent quality and look just the part on our four panelled doors. I have bought the above Knobs & Key covers and they came within two days of ordering and are really good quality and look absolutely lovely on my newly painted doors. I am waiting for some more key covers to come into stock before I order some more. 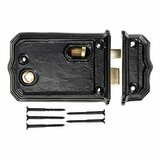 I highly reccomend them to anyone thinking of changing their door furniture. I think the website is really good also.